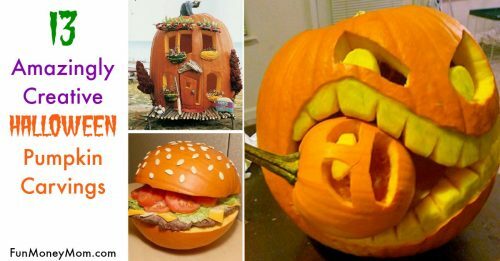 Want a fun no carve pumpkin idea? 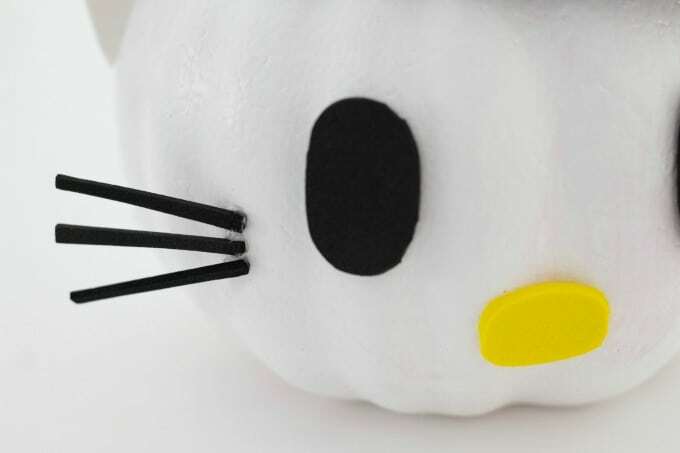 The kids will love making this easy Hello Kitty pumpkin. It’s that time of year again…I’m going pumpkin crazy! No carve pumpkins are always my favorites. They’re a lot easier to make than carved pumpkins and a whole lot less messy! 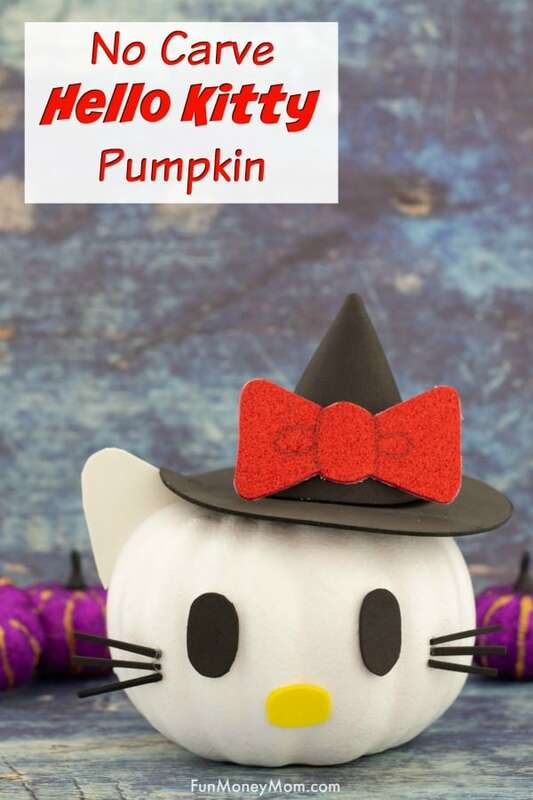 So far this year I’ve made a Golden Snitch pumpkin, a Unicorn pumpkin and now this cute Hello Kitty pumpkin. 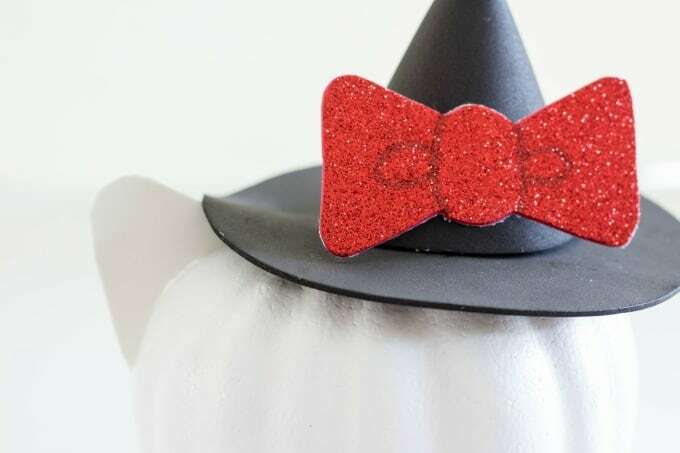 It’s super easy and such a fun Halloween craft for the kids! 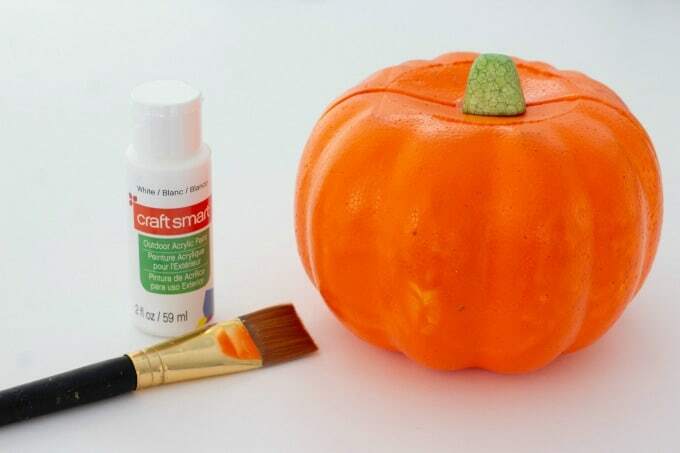 You can use any pumpkin you’d like but I love these super cheap foam pumpkins from Dollar Tree. 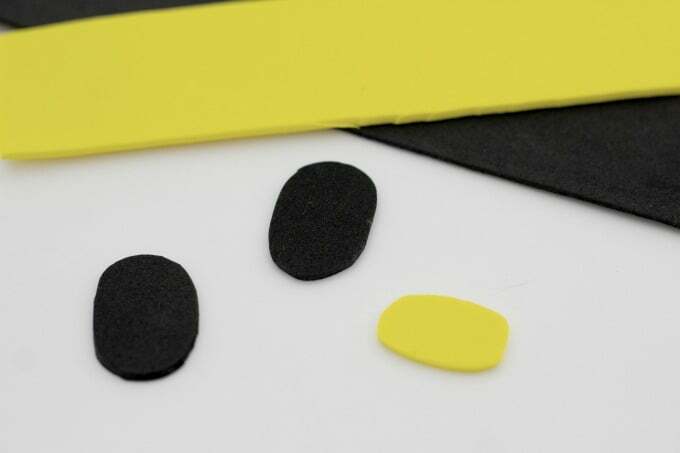 You’ll also need a small bottle of white acrylic paint. I started by snapping the stem off to make room for the hat. Next, I painted the pumpkin white. It usually takes 2-3 coats. While waiting for it to dry, I worked on the hat. 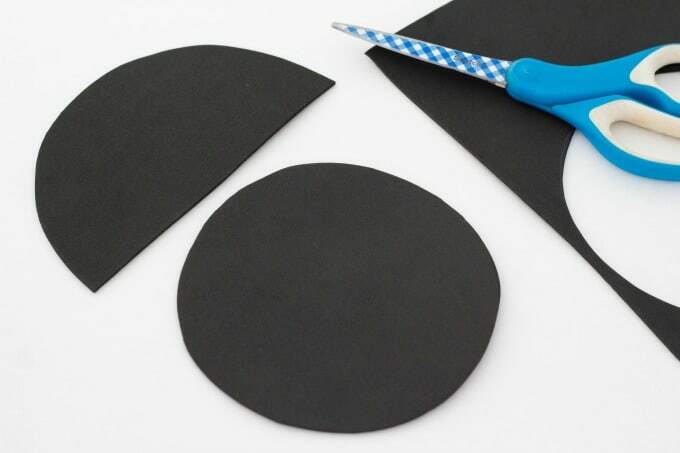 To make the hat, you’ll need a black foam circle and another half circle (slightly larger). 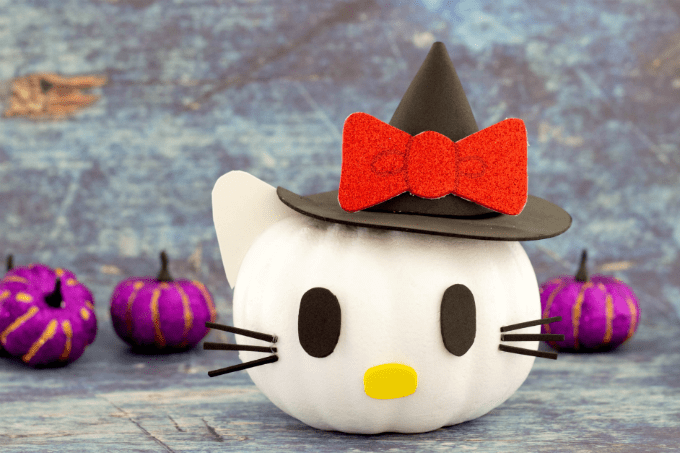 You can use my free printable to make tracers for the hat cutouts and the rest of the Hello Kitty pumpkin pieces. 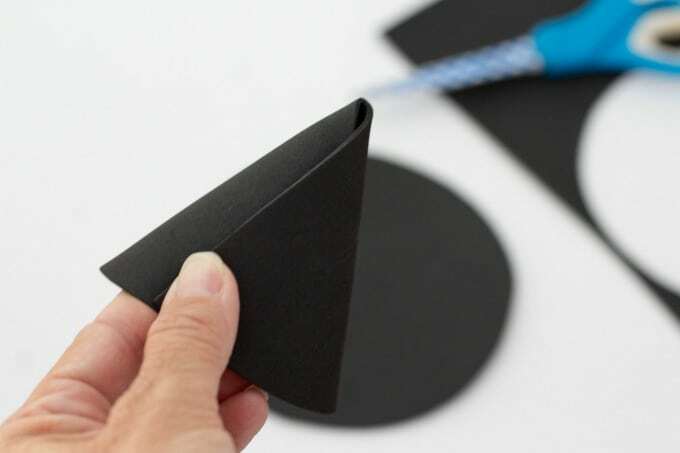 Take the half circle and fold it over. 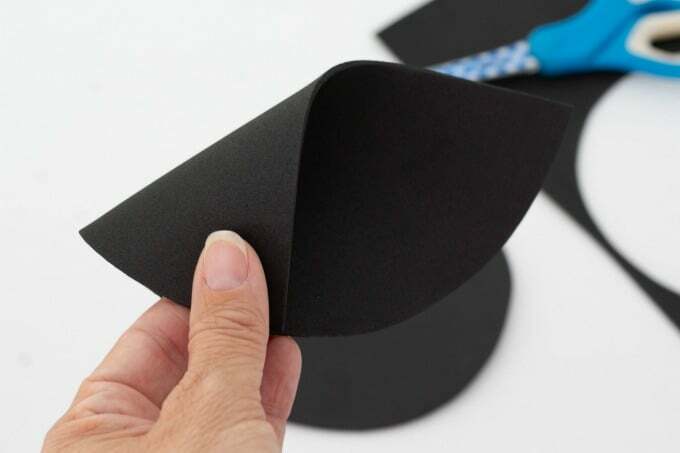 Now fold the other side over and use hot glue to form the pointy part of the hat, then glue it to the round base. 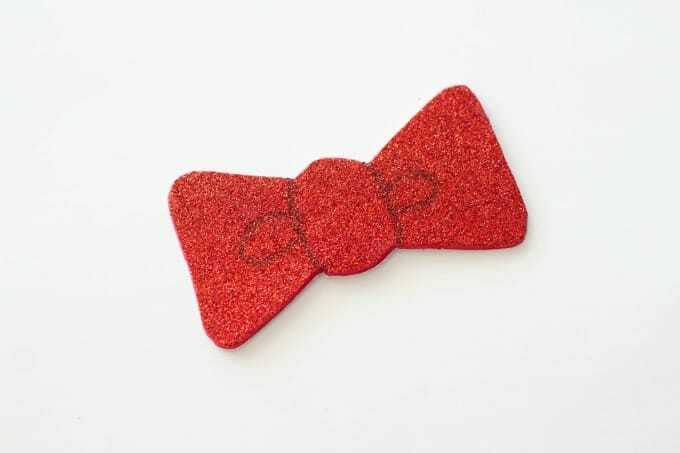 Draw a bow on the back of sparkly craft foam. This had a sticky back (it’s what I had on hand) but ideally I would have used the regular glitter foam. 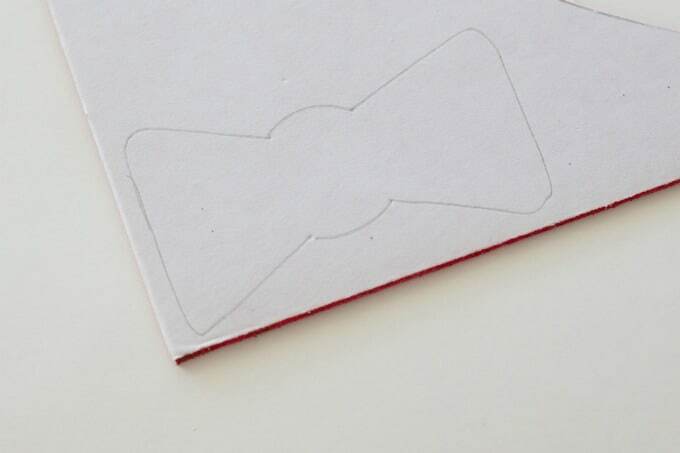 Cut out the bow and draw in the details with a black marker. 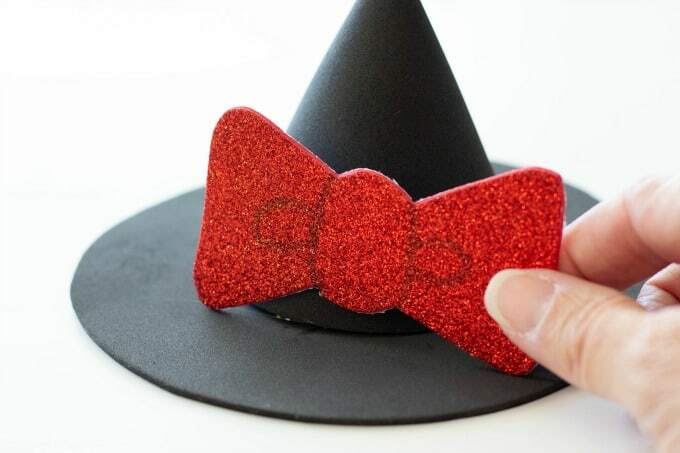 Glue the bow to the black hat. Now it’s time to work on the ear. 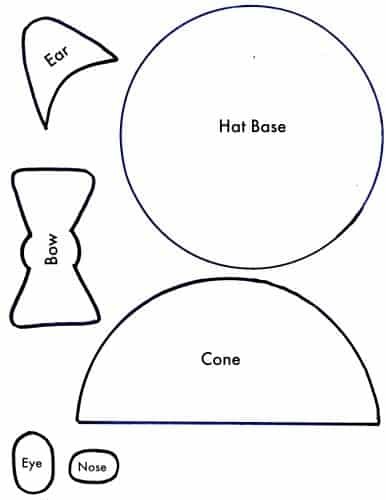 Yes, just one ear because the hat will “hide” the other one.Trace your ear, then glue the ear and the hat to the top of the pumpkin. Now cut out the pieces for the eyes and nose. Glue the pieces to the face. The final touch is to cut whiskers from the black foam. Mine were just under 1 1/2″ inches but you can make them however long you like. 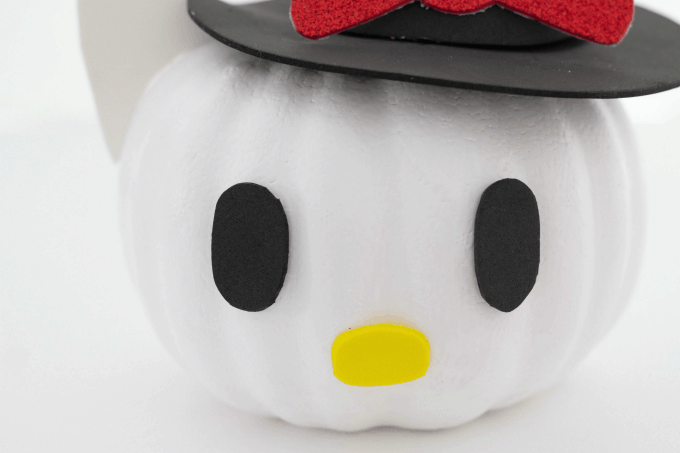 That’s it…you have a super cute Hello Kitty pumpkin for Halloween. What cartoon character will you make for Halloween? 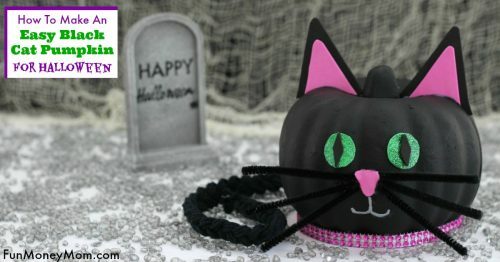 Be sure to watch Sarasota’s Suncoast View on October 3rd where I’ll share this and other fun no carve pumpkin ideas.